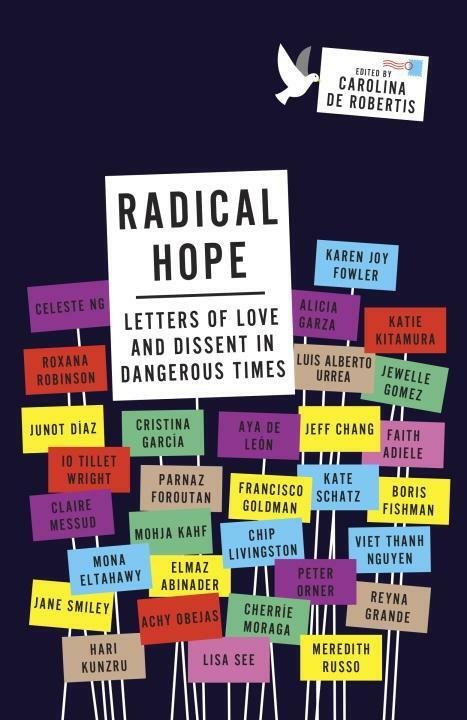 Our president’s inability to communicate beyond a revolving door of fear-inducing polemics inspired Carolina de Robertis, a creative writing teacher at San Francisco State University, to create a collection of letters written by writers and political thinkers entitled: Radical Hope: Letters of Love and Dissent in Dangerous Times. Junot Diaz, Jane Smiley, Claire Messud, and Francisco Goldman, are among the writers instructed to write letters in response to the results of the election last November. Why letters? Robertis notes the form is “at once tender and analytical, impassioned and nuanced, sweeping and deeply personal.” It also recalls other published letters of dissent such as The Fire Next Time, James Baldwin's letter to his young nephew, and most recently Ta-Nehisi Coates’ letter to his son, Between the World and Me. Karen Joy Fowler writes to an immigrant woman in line at the grocery store, and weaves a historical narrative of immigrants to America, including her own grandparents; Luis Alberto Urrea’s letter is more of an op/ed called “Grace and Karma under the Orange Caesar,” and Lisa See writes to Henry, her grandson, recalling the history of hope and struggle of her own grandparents. 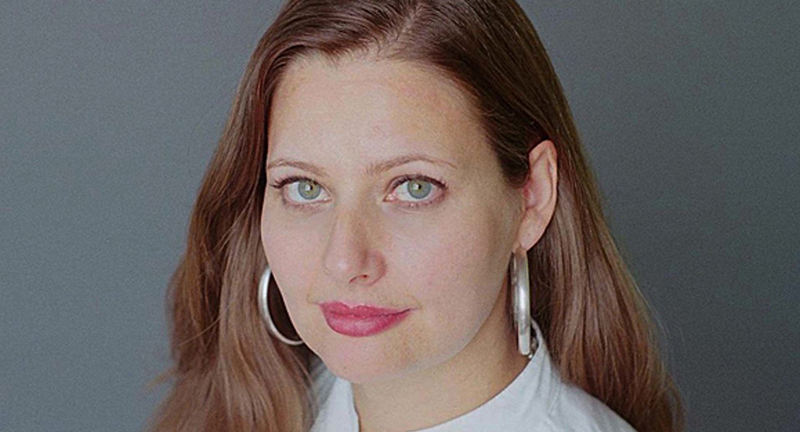 De Robertis chose the themes of love and dissent because love, she says is the blending agent that fuses the political and the intimate, providing urgency to one and context to another.” And she believes dissent is not unrelated to love. Divided into three sections; roots, branches, and seeds, these letters are at once a rallying cry and a beacon in dark times.